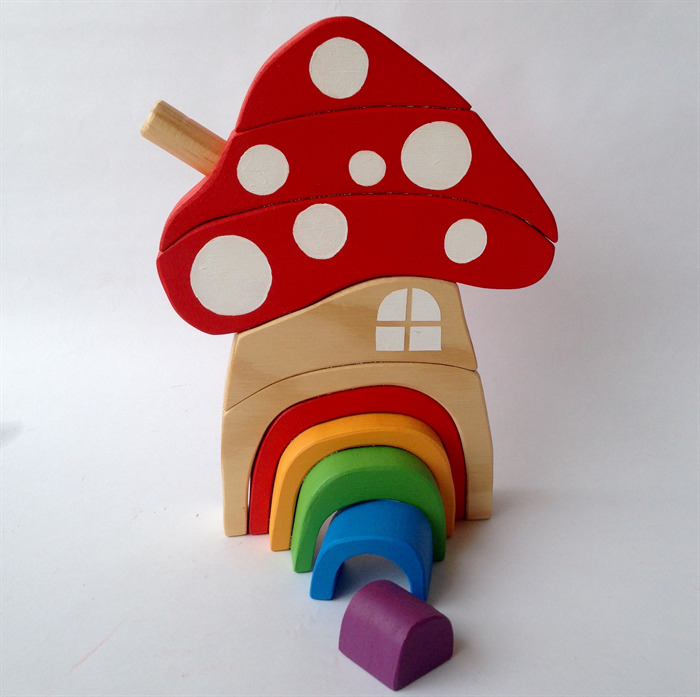 Hand painted Wooden PASTEL Toadstool House stacker with Rainbow Door. 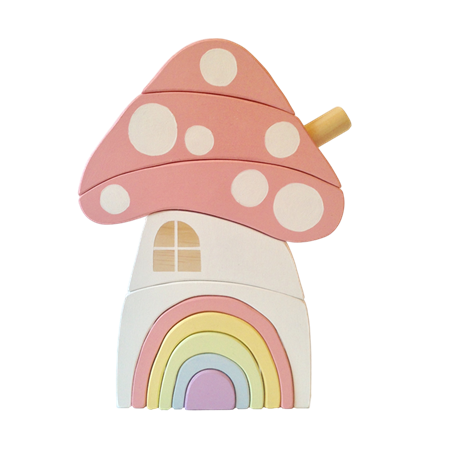 This listing is for the PASTEL Toadstool with a WHITE house. You have the choice of it coming with a natural house too. Please leave me a note in the 'message to seller' section at checkout if you would like natural otherwise it will be painted with a white house. Toadstool houses are hand cut out of plywood, sanded then hand painted with non toxic acrylic paint and finished with natural beeswax. This all happens in our home workshop.